This course will cover the development of the Western printed book in the hand-press period, that is from the middle of the fifteenth century to the beginning of the nineteenth century, in chronological and thematic sessions which are a combination of lectures, workshops, slides, videotapes, and films. The topics covered include the invention and spread of printing in Europe; the development of typographic book design and illustration; the rise of the publishing industry; freedom and the regulation of the press; the increase in literacy and its social consequences; the traffic in printed matter and the growth of personal and institutional collections; and the impact of the Industrial Revolution. Intended for those who have a limited background—but a considerable interest—in the history of the book, and who expect, sooner or later, to take the other two courses in this sequence, The Book in the Manuscript Era (H-20) and The Printed Book in the West since 1800 (H-40). The course is intended for those who seek a general overview of the technical and cultural aspects of the history of books, printing, and the allied arts and who would like formal classroom exposure to the subject in a well-equipped environment. The instructor emphasizes that this course is aimed at beginners. In their personal statement, applicants should describe the nature of their developing interest in the history of the book and (if relevant) explain briefly the causes of this interest and the purposes to which they propose to put the knowledge gained from the course. Martin Antonetti teaches this course. 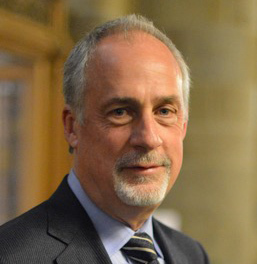 Martin Antonetti is the Director of Distinctive Collections at Northwestern University Libraries, where he oversees the Deering Special Collections; the University Archives; the Herskovits Africana Collection; and the Art, Music, and Transportation Libraries. Before coming to Northwestern, he was the curator of rare books and director of the Book Studies Concentration at Smith College, where he also taught courses in the history of the book and in contemporary artist’s books. He had previously held the positions of Librarian and Director of the Grolier Club in New York City. He has served on the boards of Hand Papermaking, the Book Arts Press, and the American Printing History Association, and recently completed a term as President of the Bibliographical Society of America. He is also on the faculty of the Simmons College Graduate School of Library and Information Science. A classicist by training, he received his library degree from Columbia University in New York, where he specialized in rare books and special collections librarianship.